The airfield is located ca. 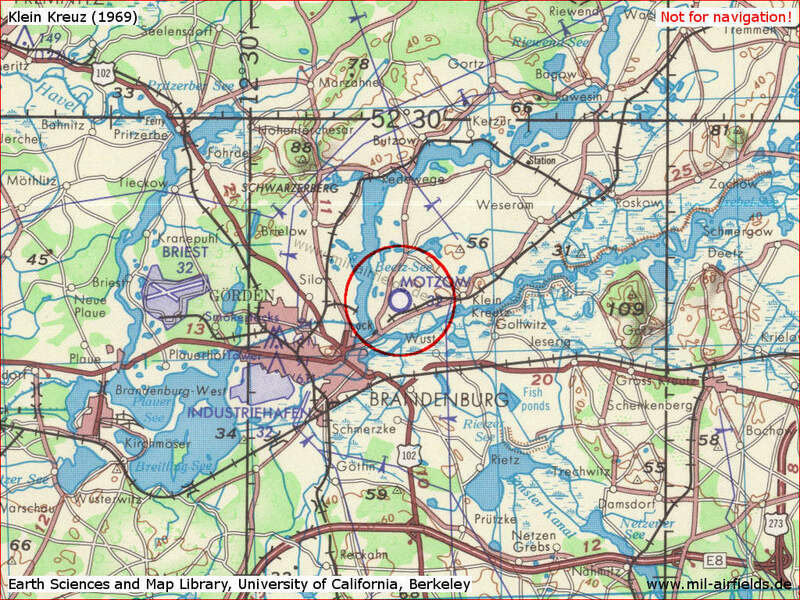 4 km northeast of Brandenburg/Havel center, ca. 2 km west of Klein Kreutz and ca. 3 km south of Mötzow. Emergency landing ground since the 1930s. Training field of the former East German helicopter from Brandenburg/Briest. The airfield had the number 2134. 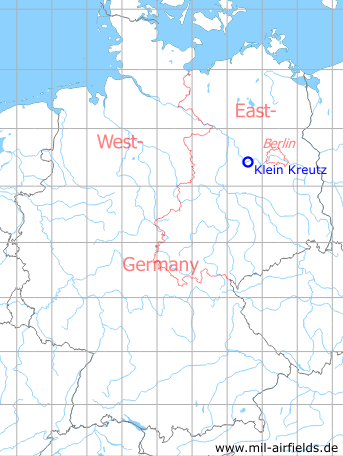 In addition, the East German helipad 6008 "GST-Bezirksausbildungszentrum Klein Kreutz" was located here. 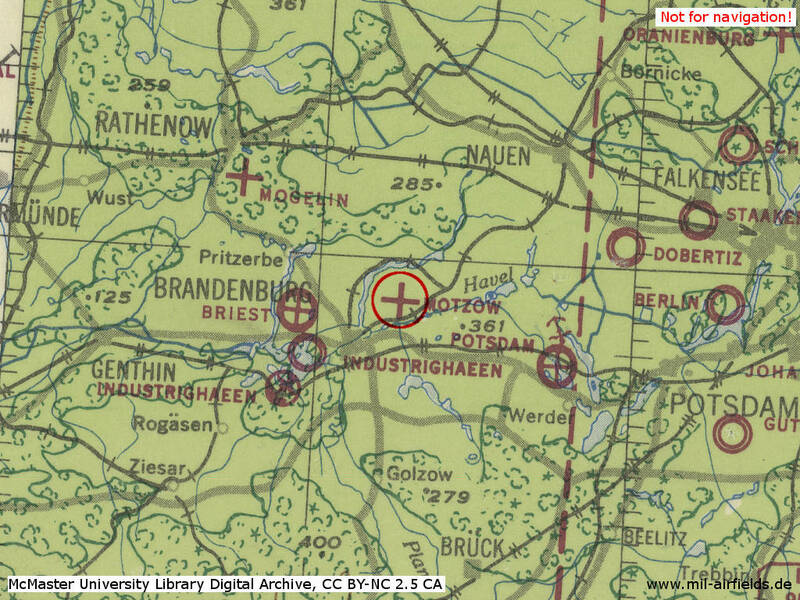 No airfield was identified on either side of the Brandenburg (N 53&Z 23) - Moetzow (N 53/Z 24) road. No Soviet troops were quartered in Moetzow. There was no military object in the surroundings which could be seen at a distance of 2 to 2 km in good visibility. Comment: Report is considered credible as no information on an airfield near Moetzow has been received ... A landing field, about 400 x 500 meteres, existed near Moetzow during the war. The call sign was KODEX. General aviation / special airfield. http://www.nva-flieger.de/index.php/nva-hs-plaetze... - Brandenburg-Briest airfield - with information about Klein Kreutz airfield.